Everyone knows Jennifer Aniston—her decade-long role as Rachel Green in the sitcom Friends made her a household name. Indeed, her relationship with Brad Pitt was and continues to be tabloid fodder—but she really broke through with Friends. Prior to the hit show, she replaced Jennifer Grey as Jeannie Bueller, Ferris’s older sister in the sitcom spinoff of Ferris Bueller’s Day Off. She has had a number of great roles in films since—but has stayed mostly true to her comedy roots. For good reason, because it is her strong suit. Here are her 10 most memorable roles. 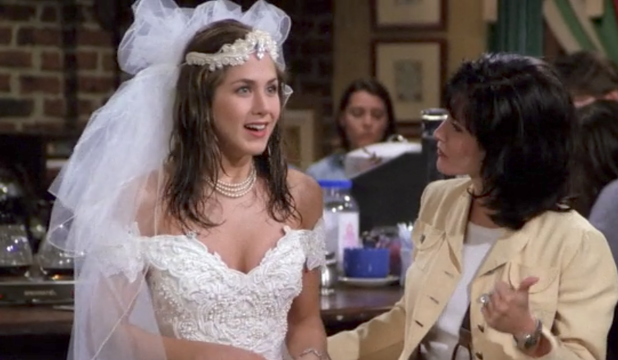 Aniston’s Rachel Green runs away from her own wedding and runs into her best friend from high school, Monica Gellar (Courteney Cox) at a coffee shop. When Green’s wealthy father cuts her off as a result, she moves in with Gellar—and joins her group of friends (Matt LeBlanc, Lisa Kudrow, Matthew Perry, David Schwimmer)—to try to make it on her own in New York City. So begins the massive hit situational comedy Friends. The film Office Space was Mike Judge (King of the Hill, Idiocracy)’s first attempt at live-action comedy. A computer technician (Ron Livingston) is bored and miserable in his job. His life is generally bleak until a strange encounter with a hypnotherapist which changes his mood. Aniston plays a pretty, equally-miserable chain restaurant waitress who he become involved with. In spite of its weak initial box office performance, Office Space has since become a cult classic. In the classic comedy Bruce Almighty, a self-centered television news reporter and skeptic named Bruce (Jim Carrey) who is beat out for a promotion by his rival (Steve Carell). By some strange occurrence Bruce is given god-like powers by God himself (Morgan Freeman)—which become both a blessing and a curse. Aniston plays his faithful girlfriend (aptly named) Grace. 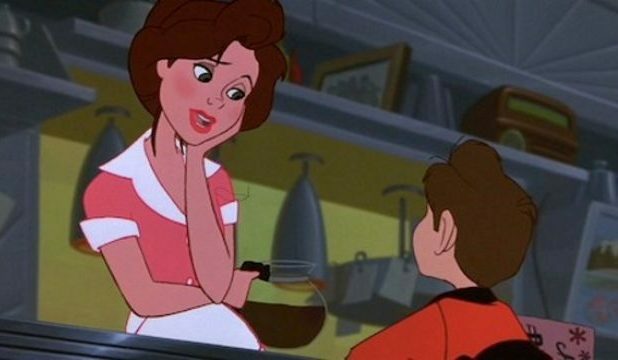 In The Iron Giant, the animated family film directed by Brad Bird (The Incredibles, Ratatouille), Aniston provides the voice of Annie Hughes—the hard-working single mother whose son Hogarth finds and gives refuge to the eponymous large robot. It is perhaps the sweetest film in her body of work. 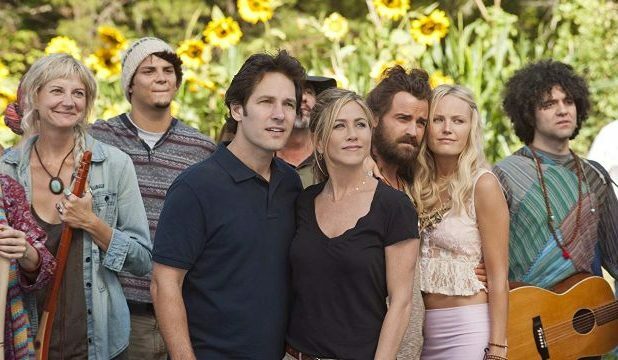 In David Wain’s comedy Wanderlust, George (Paul Rudd) and Linda (Aniston) Gergenblatt are Manhattanites who—upon both being laid off—become frustrated with modern urban life. As a result, they move to a hippie commune in Georgia where antics ensue as the residents try to get the two uptight urbanites to loosen up. It is one of Wain’s funniest films. In the romantic comedy Along Came Polly, Aniston plays the eponymous Polly, a free spirit who becomes involved with an acquaintance from junior high—Reuben (Ben Stiller). Their asymmetrical personalities are the source of much comedy in the film, as well as from Reuben’s best friend, a former child star named Sandy played by the late, great Philip Seymour Hoffman. In the two Horrible Bosses films, three men (Jason Bateman, Charlie Day, Jason Sudeikis) conspire to kill each other’s bosses. One of the three titular bosses is Aniston, a dentist to whom Charlie Day’s character is a dental assistant. She frequently sexually harasses him in spite of the fact that he is faithfully married. It is a funny, very irreverent film. 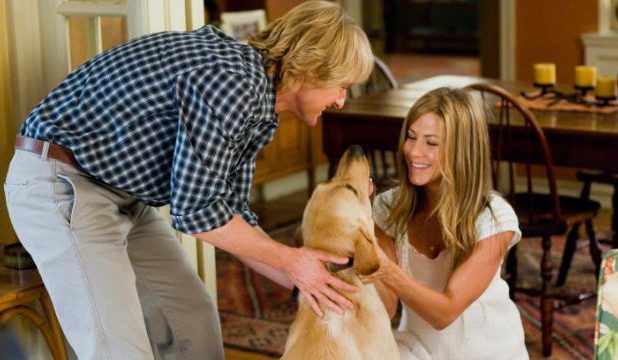 In the heartwarming film Marley & Me, a couple (Aniston and Owen Wilson) adopt a very poorly-behaved puppy named Marley. The film documents their growth, as they learn lessons about patience and unconditional love through their mischievous dog. The film is a real tear-jerker, perhaps the most emotionally resonant film of Aniston’s career. 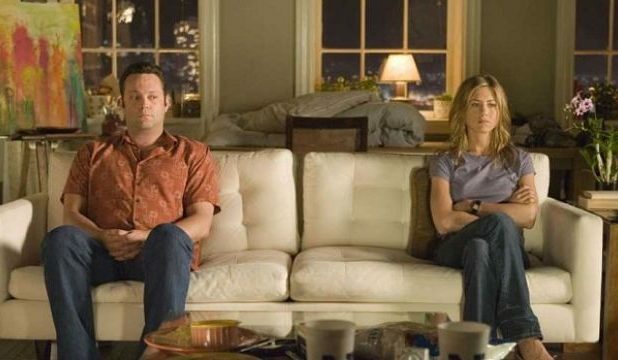 In The Break-Up—directed by Peyton Reed (Ant-Man, Ant-Man and the Wasp)—Aniston and Vince Vaughn played a Chicago-based couple who, in spite of breaking up, resolve to live as roommates because neither of them want to move out of their nice Chicago condo. Antics ensue in this romantic drama-comedy as they struggle to cope with their unique situation. In fairness, this is a more personal pick than any of the other films, but I will take any opportunity to mention MAC and Me. Coming off the success of The Karate Kid, R.J. Louis—a film producer with close ties to the McDonald’s franchise—backed a pretty blatant knock-off of Steven Spielberg’s E.T. the Extra-Terrestrial called MAC and Me. MAC (Mysterious Alien Creature) is an alien separated from his family and a disabled boy must help him reunite them. Though Aniston is not a prominently-featured actor, there is one extended scene—which takes place in a McDonald’s—features a large dance number in which the keen-eyed may be able to see her. The creature design is unnerving, and the film in general is one of the most bewildering, unintentionally funniest B-movies ever put to film.